The Honda Civic better watch out! Subaru is coming out with a car aiming to take the Civic’s place as dominant in it’s segment. 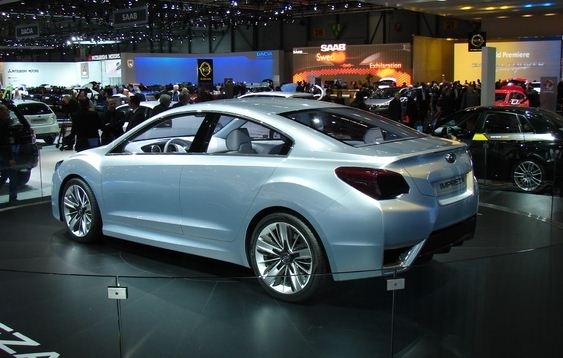 The car is going to be Subaru’s next Impreza sedan. 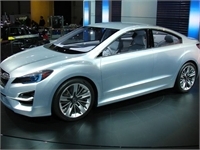 It is expected to come out for the 2013 model year. The car takes the same 4-door coupe look that Mercedes started with the CLS. Subaru calls their new design “confidence in motion.” According to Motor Trend magazine, “It makes us confident the next Impreza, WRX and STI, will be a huge improvement- finally- over the current ugly duckling with looks to match the WRX and STI’s performance, if Subaru can successfully translate this concept into production”. The car comes with a 2.0-liter version of the current 2.5-liter 4-cylinder engine, and it comes with a Lineartronic continuously variable transmission. I do not know the horsepower and torque numbers yet, let alone any ¼ mile or figure eight times. It is still too soon to find out. If anyone finds out before I do, feel free to let me know. Thanks. What I do know is that it comes with a large, central touch display, forward-facing camera with collision avoidance, and small dual rearview cameras. Now, if they made this new car into an STI, especially a 2-door STI, that would be awesome! Make this new STI body style with at least 350 horsepower and the same torque with the 2.5 Liter Boxer engine, lighten it up like they had the 2004, and make it handle a little better with less understeer, and you would have a really good car well worth a $40,000 price tag. I would love to hear everyone’s opinion on this. Feel free to leave me comments. Thanks for reading!